The challenge with ABM is that it is not plug n play. Their team did a great job getting our team up to speed and they managed our expectations. We are seeing results come in now. Time. The system takes a lot of time to get up to speed. You have to get management to buy in and then have to get the full team to do the same. It is a slow process, but they give you the tools to make it happen. Try it. Call their team, hear their pich, haggle the price and go with it! You will know right away if its a fit. But results do not come overnight. We are solving the side of sales. It allows us to really target an audience and consistently be present to them. The tool needs proper content to make it work, but once there it runs smooth and well. Shifting your mindset to ABM will make a difference with how you think about sales. The team is there with you and meets with you frequently to help you. They have a lot of great products. And these products are becoming more self service and more and more user friendly....and integrated with each other. This is a huge win. The more that these become integrated the easier it will be to make ABM programs on the fly that can execute across multiple segments. Can be a little difficult to manage on your own. But they are coming out with self service options and constantly doing development. Figuring out how to make this data more actionable in your org is going to be the key problem to solve. Ask for a product roadmap, I think that will show you where they are going. I also recommend that you try to align with Sales as much as possible. The biggest problem is lack of awareness and alignment around accounts. "Amazing insights into account behavior"
The platform not only tells me what my target accounts are doing, it provides me with intent data on accounts that LOOK like them. It tells me what they're doing on my site; what they're searching for across the B2B web, and so on. It's an invaluable look into account-level behavior. I don't like that the reporting I receive via email comes to me via Google Analystics reports, as opposed to nicely-formatted, clickable Demandbase reports. I hope this is on the product roadmap. We're now getting smarter about which accounts to go after, and who's actually ready to buy. The signals that Demandbase uncovers are a huge leap forward from old-school "demand gen". "Good product, but the client services team makes it worth it." The best part about demandbase is really our client services team. We had some initial implementation issues with it that took several months to resolve. The issue wasn't actually on Demandbase's end but rather the downstream system, but our client services team did an amazing job of really trying to make it work. I don't think we even spend nearly as much as some of their other customers, but we were getting the royal treatment all along the way and they were fully committed to dedicating the resources and time to getting the issue solved. If there was one thing I could complain about, I think the documentation could be greatly improved. While the client services team dedicated an amazing amount of resources into our implementation, some things could have been more rapidly resolved with more recent/better documentation. While we originally purchased Demandbase for web personalization, we've also seen a host of benefits in using it to identify web activity from our customers. This piece of data has been instrumental in some of our business decisions and something we did not intend on using initially. There are so many things that we can list here but the most important part is the customer service. Any time we have a question or need help with something, someone immediately gets back to us and is more than eager to help us out. Some of the technology behind Demandbase still has a little ways to go but it is evident that they are working on it. We use Demandbase to increase our pipeline by delivering banner ads to specific targets, doing direct mail sends to our top accounts and tracking their activities. We have found a great increase in pipe over the past year and are excited for the new technology to create more pipe. We use sales accelerator, google analytics, personalization and the advertising portion of Demandbase. The platforms for analytics are great tools - easy to use and show great data of our accounts. It's great to see the accounts lifted based on our advertising efforts through Demandbase. The customer success team is also extremely supportive and has helped us attain out of the box solutions and requests. The inability to access information on the contact level has been found to be an annoyance to our sales team- and has proven to be a harder time trying to sell the success of ABM to our sales team. I would also like the ability to add and remove accounts from the target list by myself- but know this is on the roadmap. Proactively identifying our target accounts activity on our site. With the GA reporting alerts, email and SLACK alerts, our sales teams find Demandbase beneficial in identifying the account's activity and helping prioritize sales tasks. The team is always responsive and very engaged with your business problems. They helped us a lot throughout the on-boarding period. They keep checking in on a weekly basis even when they are not supposed to. You can really see their client success approach. It's so good that at some point I felt I was being held accountable for not using the dashboards, etc. I think it can be expensive for small companies. You do not have to have a robust marketing and sales teams and operations to find value in their products and services. But it does feel like their pricing structure is for bigger companies and bigger teams. If you are following a disciplined Account Based Marketing process, this is a really good companion for it. The main problem we were trying to solve was improving the marketing targeting efforts. They have this service which can help you target the companies you want on your advertising campaigns. The greatest benefit is that you get greater visualization on the ROI of your marketing efforts, which is one of the main problems of modern marketing. "The best Customer Support Team!" Demandbase has lots of great tools that are customizable. The customer success team takes communication seriously and are always willing to get on a call to go over any questions. The only tool I would improve is the ads tool, currently, the user does not have access to update ads, the Demandbase team needs to do the changes. Demandbase was the first B2B tool used at my company. We were able to use the customization and personalization and ads options. We also used the sales tool. We were able to personalize our website to verticals. "The gold standard for ABM Orchestration and target account building"
The best platform for reaching targeted customers online with a personalized message; personalizing your website content for industry, company or intent; building out targeted account lists based on engagement data from your platforms and intent data from external platforms. Know who is likely to be in market for your product & go after them. Cost is definitely a factor here. Unless you have a relatively high Average Contract Value, you might want to look for another solution. Could work on increasing the number of out of the box integrations. We are using Demandbase to transition to ABM from a classic inbound sales and marketing strategy. So far, our ability to choose target lists based on intent and target accounts online is great. "Excellent website visitor identification system"
DemandBase is, by far, the most accurate tool for identifying Website business visitors. We find that it correctly identifies the company and demographic data for around 75% of our non-residential traffic. We use this data to attribute offline sales to online marketing as well as to personalize our website content to match each visitor. The optional personalization service is still a bit early in development and needs some polish. You should expect to do some custom website development to make effective use of this feature. Our biggest business problem solved by DemandBase is being able to accurately calculate the ROI of our marketing by identifying website visitors and matching them to leads/customers. This has helped us optimize our website content and online marketing campaigns. We are now pilot-testing the personalization tool that we hope will increase the conversion rate of website visitors to leads. "Can't wait to see the data!" Since I've taken over the role to lead a new ABM initiative at my company, my CSM & Strategist have been very responsive, patient and helpful. ABM is completely new to my organization so the support and responsiveness of the Demandbase team is vital for this program to be implemented properly. I've also enjoyed getting to know my contacts on a professional level. They've been so friendly and unpretentious. It's refreshing! - I don't recall seeing a high-level timeline of how long it typically takes organizations to get up and running. - It would be nice to have additional resources/best practices available in the knowledge center to help me figure out how to work with my internal teams most efficiently. The Knowledge Base information is great and my Demandbase contacts have been responsive when I've asked questions, it would just be nice to have more information in the Knowledge Base. We're working on creating a new, much more collaborative relationship between our sales and marketing teams, which we expect will result in higher CLV and increased sales from new clients. Demandbase is the primary platform we're using to administer our newly targeted marketing campaigns supporting the sales team's efforts. We're still in the implementation stages, so we haven't seen any actual numbers from our activities yet. However, I've seen increased communication and engagement from sales with an air of collaboration - something that previously wasn't a common thing at my company. "Demandbase, a weapon for ABM"
Their technology continues to evolve. Their data set they use to identify prospects is unmatched. The setup is a cake walk these days. The systems are so built out, and support is T2 support level so very advanced. Your CSM's are unmatched in how much help you will get. Being able to accurately identify anonymous traffic to our web properties has changed how we go to market and approach accounts. Without the data services they provide, we couldn't do ABM. "Demandbase is a key part of our go-to-market strategy"
The visibility into named account behavior (before a form fill) really helps prioritize our SDR efforts and also directs our digital marketing campaigns. We've been a customer for over 2 years and the platform has really evolved in that time to be a must-have for marketers responsible for ABM strategy. The UI in some parts of the platform is not always intuitive and the predictive modeling, while improved, is not consistently accurate. But, really, what predictive solution is. Building Pipeline for both new business and existing customers; Aligning sales and marketing, standing out in a sea of martech vendors all competing for the same budge. "Solid Tool for Marketing and Sales Personalization and Account Optimization"
Demandbase has been a critical tool for marketing and sales organizations. Our Marketing Analytics team is able to truly understand how the companies that we are engaged with on deal cycles, are driving revenue through an account-based view of site traffic. Marketing is able to ensure that they are delivering customized website experiences and improving conversions across the funnel. Sales has been able to identify the right individuals to contact within each account and tackle communication head on through highly personalized outreach. Demandbase can get expensive, given the complexity of the product and feature set. Demandbase has been an incredible turnkey solution for turning insights into sales actions. The Demandbase ability to personalize outreach and maximize quality of conversations has been incredible. We are able to spent our critical time accelerating revenue growth through marketing and sales efforts to the accounts that we value the most. Our sales and marketing teams are able to discern great value using Demandbase across the organization. "Forms plugin and Google Analytics data augmentation is invaluable"
The ability to pull in "hidden" data about the person and their company in web forms without adding the fields to the form. I dislike the setup of the GA and forms - I wish we could do more of the configuration changes ourselves. Amount of information you want to gather and how frequently those data requirements will change. Augmenting inbound data and web traffic data. We have realized benefits of much better inbound data (so easier lead routing and qualification). We can now do GA reporting on the website that looks at more specific Account level data that is relevant to Account executives. "Great tool with some limitations"
"A great ABM platform that is only getting better"
I love the new interface that allows access to all of the tools that Demandbase offers in one place. I'm very excited to see all of the innovations coming down the pike. Most of the issues that I have with the platform are being addresses in future releases. The product team has been incredibly responsive in developing solutions for any of the few minor issues that I've had. Demandbase provides an incredibly accurate way to target and measure at the account level. Their new intent based targeting could be a game changer in ABM efficiency and effectiveness. The account management team is very responsive and helpful. On the flip side we've had our accounts team switch 3 times in 7 months. Small add-ons can be expensive. The Eloqua account based scoring add-on is seriously lacking in best practice or how-to guides, and we have seen no value from the product. I would recommend looping in all technical, IT, and development resources on sales calls with Demandbase, to ask questions and prevent any snags with implementation. We have been able to reach our target accounts and measure their activity more accurately than before. "A perfect digital marketing tool for B2B companies"
The benefits of marketing was never seen in B2B scenario. But DemandBase is providing an accurate targeting and personalization for B2B companies. It provides the best analytics, facebook ad targeting & target account marketing in B2B segment. The best part is its integration feasibility with other marketing and advertising technologies. It can be easily used along with google analytics, Sales Force tools or most of the marketing or accounts tools. It can be integrated with standard analytics tools. But when it comes to other digital analytics tools like KISSmetrics, Piwik, Pix Panel; the results are not synchronized. Also the live chat feature is not much attractive. It is one of the best creative tool for digital marketing in B2B segment. Also it is a very cost-effective solution and you can achieve 10x times of the investment made in the tool. Being in a B2B start-up, identifying new clients via any platform is very critical. DemandBase has helped us in targeting number of customers and getting positive traction from them. It has helped us gain business. "Great Product. A bit expensive for SMB companies"
The reverse IP lookup provides company data that is useful for lead scoring. It uses a nestled query which helps improve the accuracy of the results. It also does the lookup before the form is submitted which saves on form processing or Marketing Automation delays. I wish their pricing was more flexible for SMB companies (use based). It's hard to justify an ROI when costs are platform based and not use based. At our current lead volume, it would be cheaper to do a reverse IP lookup and then query a data provider like ZoomInfo or Data.com. The major advantage is that we are able to shorten forms and increase conversions by doing form data appends. We also get validation on some of the fields we do ask for. Demandbase software helps to fill the gaps in the Account Based Marketing story. They also have personalized creative messaging that tailors the message to the specific company. Demandbase offers a great solution when it comes to monitoring companies coming to your landing page, and any effects that paid media might have on site-lift by company. However, there are many other players coming into the space at a rapid pace. Bombora has really evolved their ABM capabilities, and can now report on impression level activity by company and report on on-site activity. I would just make sure you look into all options, because Demandbase is purchased on a subscription model and has it's short comings: expensive CPMS, cost per company model, lacking cross-device and post-impression attribution. We are trying to tie together the pieces of an account based marketing campaign. It's great because you can monitor site lift by company, and page views across your entire site. "No-Frills, Easy to Use Analytics & Personalization Solution"
The integration directly with Google Analytics is quick and easy to setup, straight out of the box. The onboarding / customer success folks also set you up for success with pre-built custom reports and use-case-specific walkthough of how to setup / apply these reports to your business. The personalization module was also super simple to use and get a campaign up in running in no time. As you would expect, there are definite downsides to the "oversimplification" of any product. I found that it only took a handful of personalization campaigns before we reached a point in which we wanted to get more advanced with our campaign setup / implementation. Due to their a la carte or "per module" pricing model, the total cost can add up pretty quickly. From a business problem perspective, we were trying to solve for the lack of knowledge and insights at the industry / individual company level as well as creating a more personalized, industry-specific website user experience. "Very expensive with poor customer service and reporting"
The personalization tool is great at identifying Enterprise level companies. Demandbase in very expensive, the customer service is lacking, and their reporting is pretty terrible (a simple excel doc). Make sure you do your homework and compare their features to the competition, as you can get more bang for your buck elsewhere. We are utilizing their personalization tool to show specific content to B2B prospects at the company level. "A powerful, if expensive, tool for messaging to large accounts. Could offer more self-serve features"
This is a powerful tool that allows us to tailor messaging to key prospects either through their experience on our website or on the wider web. In terms of how it's used, there is relative flexibility around the type of messaging, how overtly you address the audience vs using more subtle messages, etc. It's not cheap! You will find it most relevant if you are selling big ticket items to larger corporations. Also, not all of the products are available internationally, due to varying laws around data collection and storage, so you are limited in your ability to combine website customization with ongoing IP-based targeting. Finally, there is no real self-service aspect to it, at least when we were deploying it; set up was by a consultant meaning that ongoing real time testing and optimization is not really practical. We wanted to serve up a different website experience to visitors from different verticals and (in limited cases) from specific target companies. We found that doing this led to extended dwell times and engagement on our website. We also wanted to reach employees of our target accounts on a range of third party sites, even if they were not aware of us or had not visited our site to be cookied. The way that we could get the data into our MAP was simply and customizable to work with our filters. It made segmentation great for all of our nurture efforts. Obviously, we would love getting more data and having more leverage with the speed that the data is provided. But it seems to be a limitation of everyone in the space. Make sure your data management processes are detailed and locked down. We needed to get all of the information possible in our MAP before creating leads or contacts in SFDC. For our needs, the data was too inaccurate. There wasn't sufficient coverage for EMEA prospects. We struggled with regional vs. corporate hq locations and well as owned subsidiaries being rolled up to their parent accounts. We used Demandbase to provide firmographic data for prospects acquired on our website. While the enrichment data was useful, it was too inaccurate for our business case. "Audience Insights Booster that was needed"
What I like the most about Demandbase is the valuable insights that we have been able to drive and integrate with our web analytics to truly understand our impact and reach to specific industries and targets. We were solving the inability to truly identify who was visiting our site and retargeting them. We had a basic understanding, but with Demandbase's extensive knowledgebase, we have been able not only identify who these individuals are, but also customize the content that is being served upon their entry to our site. Powerful intent data deployed to sales team has allowed us to enter opportunities early in the research process while improving sales velocity. I love that it can respond in real-time based on IP address. The accuracy of the append information is strong. It allows us to better serve our web audience. The cost of demandbase is premium compared to other solutions. "Great products for B2b marketing"
Honing in an the right accounts to target and using the intent data to penetrate the accounts. Initially gaining access to certain pages of the software were restricted, could have smoother onboarding. We were able to target audiences through personalization, which we weren't doing before. "Powerful B2B ABM tool, but not so useful for small businesses"
Integrates with Google Analytics, easy to use, and your account managers are generally very helpful and friendly. DemandBase is on the pricier side, it also doesn't do a very good job with targeting smaller businesses (really only good for mid-to-large size businesses). Not something to use if you're a small business or looking to target other small businesses. Identifying what businesses visit your site and retargeting them with relevant content. Also good for on-site personalization. The best thing about Demandbase was the insight we had into web analytics which then allowed us to understand our reach and understand our targets and industries. We are also able to nurture well through this tool without it falling through the cracks. The speed at which the data was received took quite a long time as well as the reach into other markets was difficult. Complete due diligence before setting up a system of any kind. We are finally able to see who we are targeting and the industries that are important to use. The analytics are crucial. "Demandbase is a solid product"
They seem disorganized - multiple, similar requests over multiple weeks, but it seemed like balls were slipping through the cracks between customer success and their engineering team. Product didn't meet expectations - we were told we'd have the capability to do something that unfortunately the product couldn't deliver on. Make sure you're processes and personnel are in place before even considering DemandBase. We went months without realizing value. It would be cool to be able to log in and view/search/export missing pieces of data. Something similar to Data.com or DiscoverOrg. DemandBase is great for personalization at the ACCOUNT level, capturing up-to-date information and improving form conversion. You may want to consider ReachForce as an alternative. I've had a good experience with both. We used DemandBase to improve data quality and form conversion across our demand generation efforts. "As Demandbase Customer-Great UI, Customer Success, and R&D/Vision!" Self-service & ease of use functionality for managing lists of accounts, segmentation & targeting. Demandbase is the gold standard when it comes to Cooke+IP website visitor matching to B2B global companies. We sometimes struggled with the accuracy of data. It would be disputable between other sources including Discover.Org or Rainking. Business Problems Solving: Shorter forms = higher conversions. "The best ABM tool out there!!" I like how you can easily track Website activity on each targeted account. I don't like how you can't remove audiences once they are made. It would be helpful to build multiple audiences within categories of expandable views for ease-of-use. Finding Target accounts and determining the level of intent. The visibility into website traffic regardless of form submissions is invaluable. Also, having the ability to personalize the website experience n real time is a crucial part of our ABM strategy. The lack of A/B testing within the personalization tool requires an integration with a 3rd party tool such as Optimizely. We are able to leverage new data to focus on our ABM strategy. Demandbase is easy to use and brings in quality leads for the sales team. ABM done right. Our leads weren't targeted quite right at first, but that could have been a problem with our tuning. The ability to specifically target certain stakeholders at specific kinds of companies. With a small team, it's very hard to do this without outside resources. "Useful and likely to grow"
I like the ability to target a particular company with better marketing programs that are more tailored for their experience. I wish we could do more down market for smaller prospects. When targeting very large customers it is useful to create a unique experience for them. It takes work, but it can be very effective. The product is relatively expensive, but it's arguable that the value validates the expense. 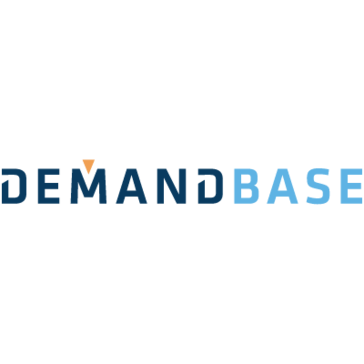 "Demandbase - The leader in ABM solutions"
Demandbase provides a one stop shop for all your ABM needs. It's a fantastic tool and they have awesome people working there. So far, I have found very little to dislike. Helping to transform marketing to individuals to doing full fledged ABM. Demandbase appends company names to anonymous web traffic. Their product is difficult to use, their reps aren't very helpful, and its an expensive tool. "A must for large enterprise"
More expensive, but you get what you pay for. The support you will receive when using this product is well worth the price. "Using Demand base for pulling out Annual Revenue of Companies"
Ease of use, accuracy of data and the data that is pulled helps us analyse the leads in a better way. None at this point. We are getting the right data related to annual revenue of companies which helps us track the leads better. Helps us analzse and nurture quality leads. Great way to collect data without making your contacts fill in too many fields. nothing at this point. Need to get to know the product better. Conversions on forms are more complete and accurate. * We monitor all Demandbase reviews to prevent fraudulent reviews and keep review quality high. We do not post reviews by company employees or direct competitors. Validated reviews require the user to submit a screenshot of the product containing their user ID, in order to verify a user is an actual user of the product. Hi there! Are you looking to implement a solution like Demandbase?